What an honor to be chosen CC & Co’s Business Spotlight Vendor for the month of April. Stormin’ Norman Termite and Pest Control is a full-service, family owned, termite and pest control company. We have proudly served the valley since 1993. We provide quality, friendly, and professional pest control services. At Stormin’ Norman Termite and Pest Control, we believe in creating a Battle Plan specific to your needs, utilizing trusted procedures, at affordable prices. 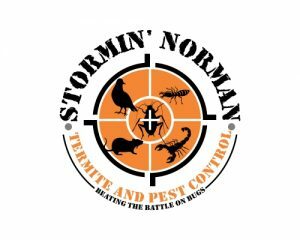 Stormin’ Norman Termite and Pest Control not only offers residential and commercial pest control services, but we also specialize in termite control treatments, termite inspections, scorpion home seals and control, pigeon exclusions, bee removal, and rodent control. We would be privileged to provide you with the protection and care you deserve to keep your home and family safe. We know how important it is to work with professionals who are ethical, honest and hard-working. The professional vendors listed here are all businesses that we have worked with, or have come highly recommended to us by clients and friends. Please let them know that we sent you! We have Vendors in each of the categories listed below that are endorsed by us, however, we cannot guarantee their services.